Plus, the incoming NEDA chief recommends Leni Robredo as Anti-Poverty Commission head. 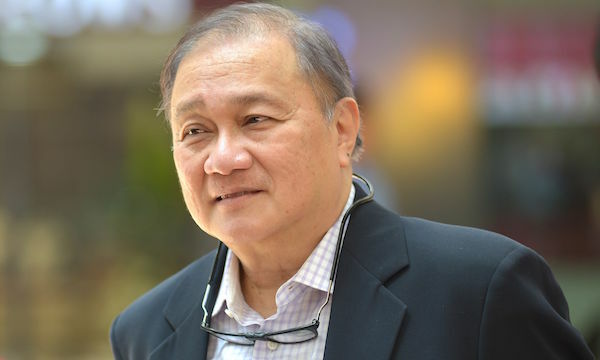 PLDT Inc CEO Manuel “Manny” V. Pangilinan said “immediate improvement” of its services on certain spectrums may be felt following its joint acquisition with Globe Telecom of San Miguel Corporation’s coveted 700 MHz spectrum. “We should see improvement, in our case, immediately in certain spectrums, and three to six months with the [acquired] 700 MHz,” Pangilinan told the press on the sidelines of PLDT’s SME Nation Big Talks conference on Thursday, June 2. Following the much talked about deal of the two telecom industry players with SMC, the National Telecommunications Commission (NTC) warned the two companies to improve its services in a year or else the deal will be revoked. The PLDT head said deployment of the spectrum remains challenging, however, it assured it is moving quickly as it can. “We do need additional frequencies for better internet service and coverage. At the end of the day, what we want to achieve with this agreement is certain frequencies may be returned to the government and to enable us to deliver the internet service the people want,” Pangilinan added. Some have also expressed their concerns over the competitiveness issue in the industry, with the Philippine Competition Commission saying they will probe the said deal even without the issuance of its implementing rules and regulations yet, in a statement released on Wednesday, June 1. “Whatever information they [Philippine Competition Commission] need from us, we are willing to provide, with the consent of Globe Telecom first of course. I think we have given as much disclosure as we can in our transaction,” Pangilinan said. Meanwhile, debt watchers had a mixed assessment on the deal, with Moody's Investors Services said the deal was credit negative for PLDT while S&P Global Ratings maintained its “BBB+” long-term corporate credit rating. Moody’s Vice President and Senior Credit Officer Annalisa Di Chiara said in a statement that the deal is credit negative for the country’s biggest telco as the acquisition is partially financed by debt. However, Pangilinan maintained the first payment for the acquisition was financed by the company’s profits from its sale of its Meralco shares. “I’m allergic to incur more debt for PLDT. The intention moving forward is to pay the balance in the next six to 12 months by the proceeds from Meralco shares,” Pangilinan added. After incoming President Rodrigo Duterte denied Vice President-elect Leni Robredo a seat in his Cabinet, incoming Socio-Economic Planning Secretary Ernesto Pernia said he recommended the latter to head the National Anti-Poverty Commission (NAPC). "I think the most suitable [post for Robredo] might be the NAPC, National Anti-Poverty Commission. It's still open. I've already suggested that to Sonny Dominguez, who is very close to Duterte," he said in an interview in ANC's Headstart on Thursday.